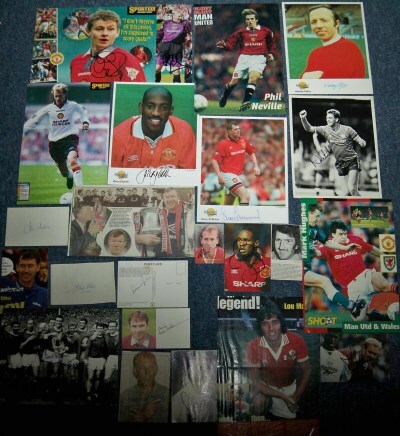 Welcome to Soccerbid suppliers of Football Autographs, Sports Autographs, Football Autographs, Authentic football autographs, football autograph Shirts, Premiership Autographed Football, Autographed Footballs, Football Autographs Football Memorabilia, football autographs, football autograph shirts, sporting signatures & memorabilia. 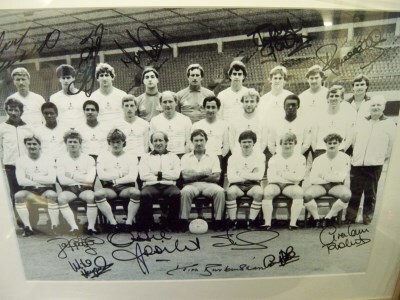 Football autographs, soccer autographs, sports autographs, football signatures, soccer signatures, sports signatures. Follow us on Twitter for one off deals, new stock, silly price specials and news. The following radio stations regularly feature our items. 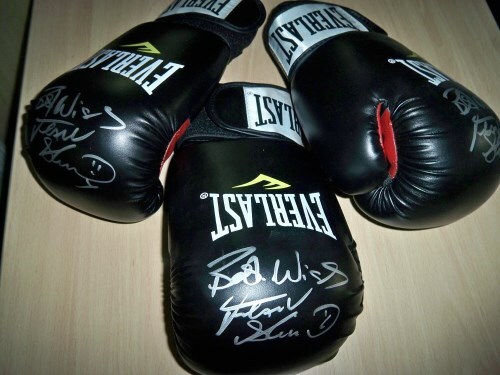 AFTAL are working together with the Police, Trading Standards, and Customs and Revenue officers to monitor and help stamp out the ever-growing problem of non-authentic signed memorabilia being sold and distributed throughout the UK. 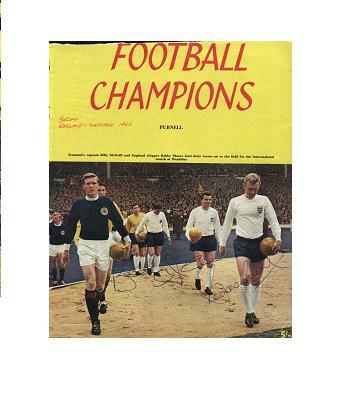 Sports Memorabilia UK Football Autographs, Soccer Autographs, 1966 World Cup sports signatures. Welcome to SOCCERBID giving you the chance to buy a unique piece of history or a personal autograph from your favourite football player, or sports celebrity, team, past and present. Now you can own that football autograph or that soccer autograph you always wanted. We are a Former (licensed by F.I.F.A. 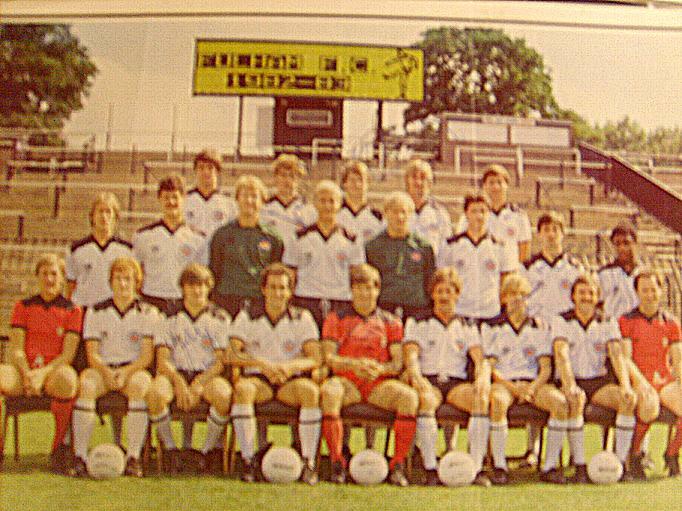 and the English Football Association) players agent. Another part of our company acts as providers of commercial activities in an agents capacity for football players and other sports celebrities. 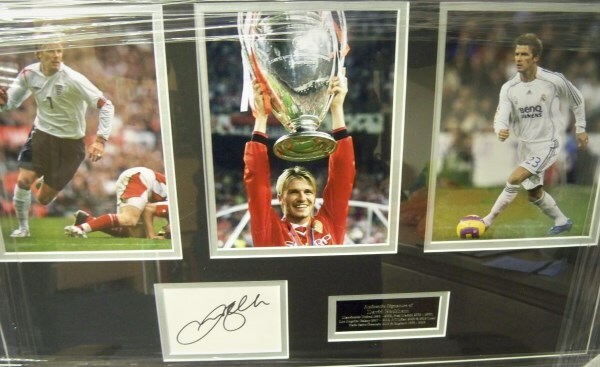 It therefore guarantees football autographs , soccer autographs or other merchandise sold is genuine supplied with a certificate of authenticity. We go to great lengths to provide you with peace of mind when it comes to authenticity. 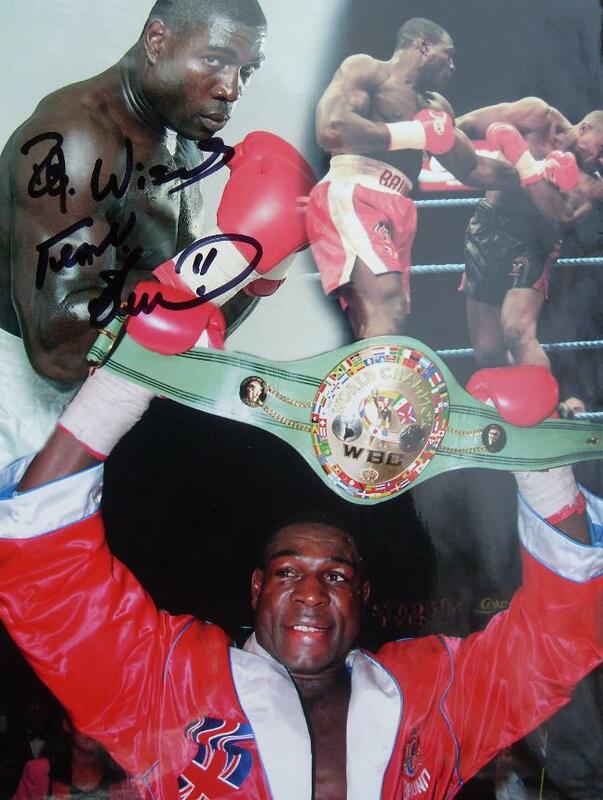 Selling authentic football autograph, soccer autographs & sports memorabilia products is our business, so we want to make sure you are as confident as we are about the products you buy from us. Are you a charity or fund raising organisation? Please contact our sales office where we will be pleased to discuss providing football autograph, soccer autographs & other signed items for functions with no monetary risk to yourselves. Please use our search facility on the menu on the left to locate any specific items or sporting personalities. It’s been a another strange year in the memorabilia business prices without doubt have fallen, then out of the blue something will get a real demand prices then shoot up short term. 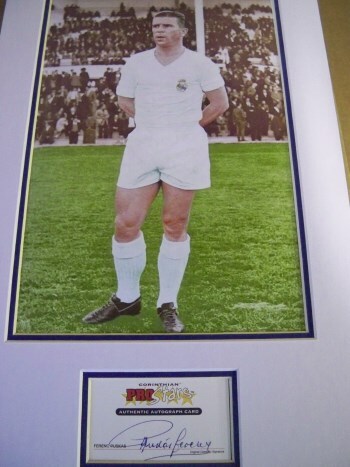 1966 Memorabilia continues to produce promises for the 50th anniversary however the shear amount that is coming onto the Market is driving the prices down. We in fairness have had to be sensible looking at the market demand but to see Bobby Moore autographs fall to an all-time low saddens us. Our valuation department continues to get calls hourly for people who either wish to sell items or get a valuation. Interesting year in the memorabilia market we are going back to the old days when the buyers wanted something specific and the quality of the customers was different. Where has the last year gone!!! We still are glad to say we are busy and had a great year. 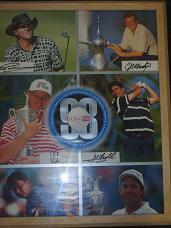 But it’s all older players’ signatures that people seem to want. As its World cup year here’s hoping for some 1966 sales!!! 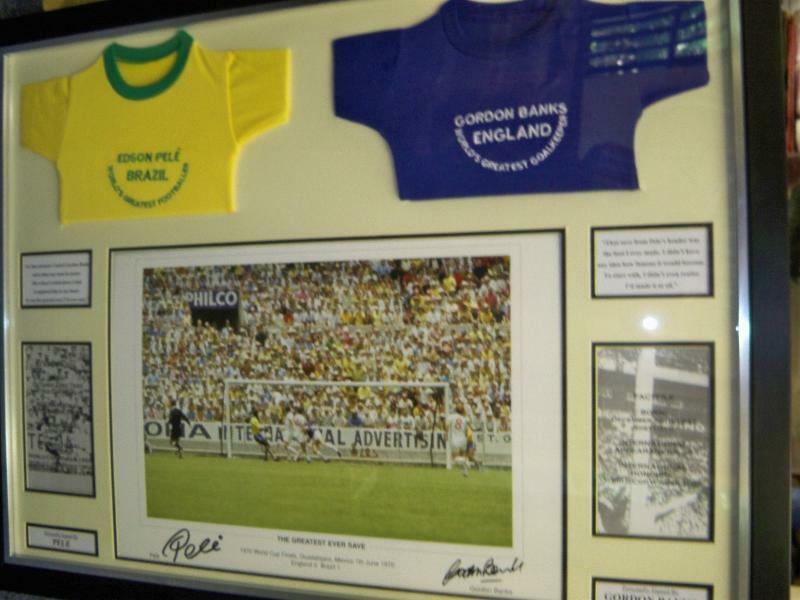 We get asked the question all the time should you invest in memorabilia? Our answer is always the same. Buy something because you want it primarily and if it turns out to be an investment in years to come that’s a bonus. 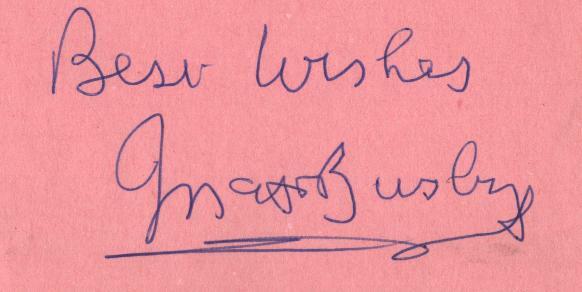 We advised clients when to buy Nelson Mandela’s and when not to those who listened will certainly be in profit. But then the question keeps coming up about Muhammad Ali. Should you buy now or have you missed the boat? We have put together some items only available to clients who email us that we feel are price wise good value and feel the price we are selling at cannot comedown any more. More importantly the authenticity must be right whatever you buy. Our very busy valuation department had to recently advise someone who wanted something insured and needed a valuation that their item was worth a minimum amount as it was clearly a fake they were devastated it turns out they bought from somewhere that is no longer trading email address is unknown mobile number is dead. Why do people do it? We are currently holding our West Ham heads in disbelief and our valuation department was not sure what to value this season’s team signed shirt for!!! Happy New Year! Firstly apologies for no news for a while it has been a manic time and the memorabilia market had had up and downs this year. We as ever are busy our boss says “if sales do not come through the door then we have to go and get them and in time this will pay off” and the last 12 months have certainly proved dividends using this way to get sales and try and satisfy and more discerning buying public. Auctions have been interesting silent auctions are certainly the more popular where customers can discreetly place bids on items plus the reserves are a lot less. Our vintage items are still selling and this seems to be our exclusive niche in the world memorabilia market. 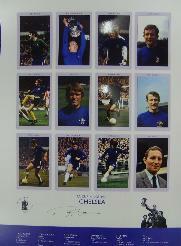 We have for over a year been selling the collection of the former referee Ken Aston. What a history in football he had. He invented the red and yellow cards and he was responsible for a number of rules of the game. His knowledge was used in World Cups from 1962 to 1994, Olympics from 1968 up to 1992 he was instrumental in the setting up of the American Youth Soccer organisation. He instructed referees all over the World. Domestically he refereed the FA Cup final in 1963, loads of European games. The items we have sold include lineman flags, medals, tickets, plaques, books if you are interested in the history why not look at the items we have have or we can send you a list as the stock is changing monthly. For a number of years we have try to predict the football for the forthcoming season it certainly causes some comments from our clients so here goes top 4 is fairly easy however it’s the 5/6/7/8 places so we are going with Chelsea, Everton, Tottenham, Swansea. To be relegated Norwich, Cardiff, possibly dare we say it Newcastle? No European titles this year and FA Cup lets go for our team West Ham,& Swansea for the final. We also have everything crossed for the England team to get to the World cup finals at the time of writing this does not appear to be definite. Our valuation and buying department has grown from strength to strength and more and more insurance companies are now asking for valuations from proper dealers to establish credibility of items. Have a good summer just think of us chained to the desks while you all sun yourselves! Hello there and welcome to our can you believe it half way through the year newsletter. There’s been some great business in the last couple of months, people buying items that have been in stock for a long time and once again we are delighted to welcome new people to our website. We were delighted to be invited in our AFTAL capacity to feature as an advisor on BBC1’s Fake Britain, demonstrating the difference between an original autograph and a pre-printed autograph. You will be safe in the knowledge that even the BBC are now using our advice and yet another reason for buying with complete safe knowledge concerning authenticity of the memorabilia we sell. Fathers day gifts were a bit slow we were surprised with all the “new” older stock us particularly with the legends of the early 1950s/1960s and some lovely pieces of very rare memorabilia coming through. Since our last news letter there was the sad passing of Sir Henry Cooper. Henry was very giving autograph signer and one of the nicest Gentlemen in sport. As board members of the AFTAL organization, we regularly do a news letter for our AFTAL dealers and we have decided to take a portion of last months newsletter where we have put in our opinion the top ten sports signers that we have had pleasure with dealing with. 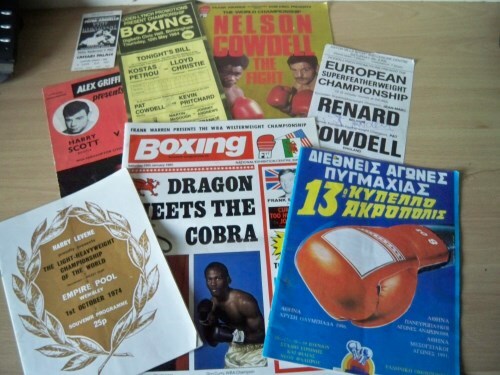 A lot of which are our clients on our associate company The Old Boy’s Network www.tobn.co.uk however we have worked with so many sports people across the years. Thanks once again for your continued custom and we look forward to speaking to you soon. The Perfect Year - Limited edition signed print celebrating the 2005 Wales Grand Slam.